The Brooklyn Hip-Hop Festival 2009 will take place on June 18th, 19th and 20th. Events include a retrospective photo exhibit of the first four years, a kick off party, Family Day, The Main Day, and the Official After Party. 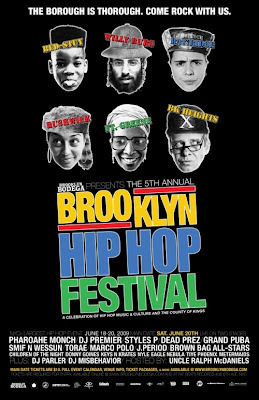 Lots more info at their BROOKLYN HIP HOP FESTIVAL website.